Rooms: 1 tastefully decorated bedroom with a balcony, queen sized bed, study desk and television. Comfy mattress and pillow. Slept well throughout my stay. Facilities: The host lets you use her fitness centre, which has a gym, a pool, steam bath and sauna for free. But you’ll need to bring your own slippers and swimming cap with you. The fitness centre is about a 7-minute walk from the apartment. Dining: Lots of options close by. If you want to get takeaway, Il Coccio just downstairs, which does soups, salads, pastas and lasagnas is a good bet. Location: Very good location in the middle of Lower Town and Upper Town. 5-minute walk to Via Settembre the main shopping street, and about a 20 walk from her will bring you to Upper Town, where you’ll probably be doing most of your sightseeing. Service: The host Federica was very welcoming. She speaks good English and even cam to pick me up at the train station. Things to do while here: Walk and see the Renaissance architecture in Old Town, visit San Vigilio Castle, visit a few museums, shop at Via Settembre and get a gelato from La Pasqualina in Lower Town. 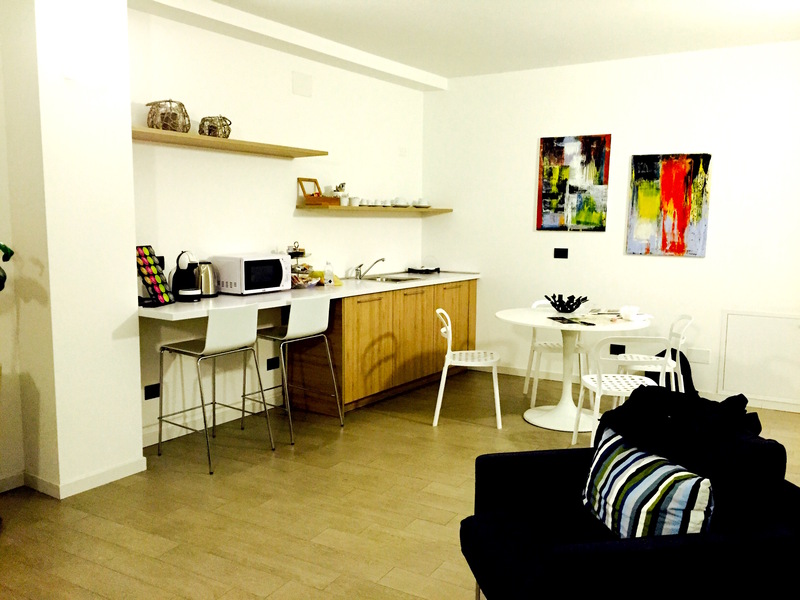 This entry was posted in Airbnb, Bergamo, Europe, Italy, Stay and tagged Airbnb, Apartment, Bergamo, Europe, italy, travel. Bookmark the permalink.